Showtec SDS-6 DMX Controller Fader desk 6 Channel 6ch Battery & PSU powered. 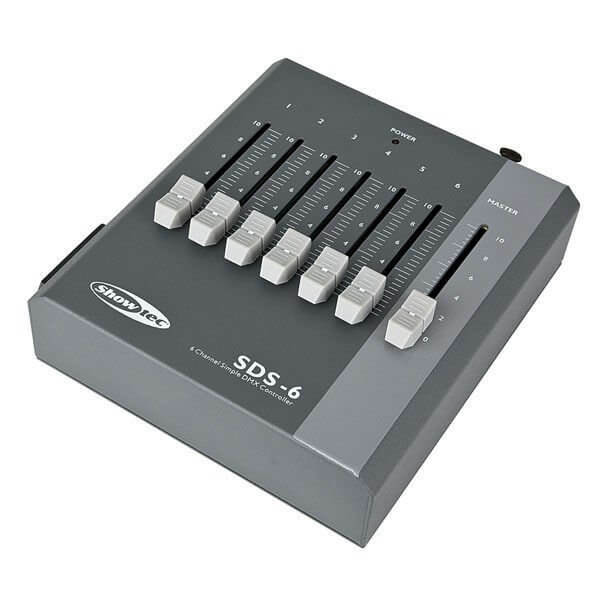 The SDS-6 is a small battery operated 6 channel DMX controller. It is very suitable for easy applications such as exhibitions, small shops as well for testing of your DMX equipment.